Manufactured by Euroshel at their manufacturing facility in Rawtenstall, a number of local suppliers are supporting the manufacturing process as part of the £1.1m work. These include WEC Lasers in Darwen and Almond and Mellor polishers, who assist with the preparation of the stainless steel, with local suppliers also used for fittings and other engineering processes. 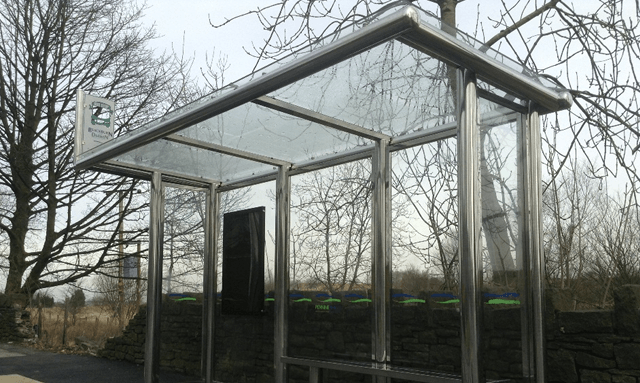 The first bus shelter was installed in Darwen recently, and more will be installed as work progresses. Steve Hartley, Managing Director of WEC, said: “As a community focused company, we believe that effective local procurement is the way forward and it is great news that we have been identified as the laser cutting contractor for this new investment from BwD Borough Council.